At Smith Pallet Company, we are proud to offer you quality products and exceptional customer service. Contact Smith Pallet Company today to find out how we can help you! We manufacture custom built pallets, skids, wing pallets, food grade pallets and skids, boxes, crating, dunnage material and any other type of wooden container or platform. These products are offered in hardwood, green pine or kiln dried pine. In addition, we can supply any size of wooden packaging material necessary to move and ship your products. 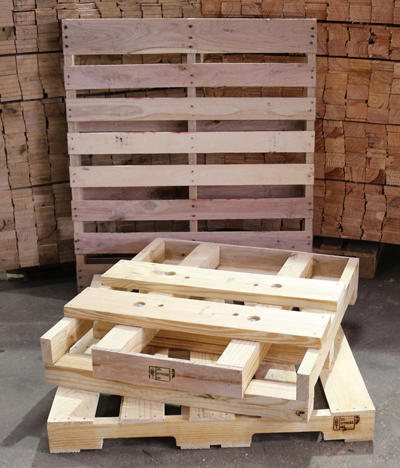 Contact us today to talk to us about your custom pallet needs! 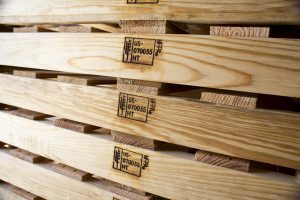 We are certified to heat treat pallets, skids, and other wood packaging materials according to the International Standard Phytosanitary Measure (ISPM 15). This treatment prevents the spread of harmful plant pests. Our facility includes 2 heat treatment chambers, capable of treating 10 loads a day. Contact us today to learn more about our heat treatment services! Upon customer request, we treat our lumber with PQ-80® to prevent the growth of mold and to control sapstain (discoloration caused by the growth of fungi). This substance is FDA approved to transport, package and hold consumable products. We apply this substance early on in the pallet assembly process to ensure that mold and sapstain don’t have time to develop. Contact us today to learn more about our mold prevention services! The Pallet Design System™ (PDS) is a product specification and engineering design software. Upon customer request, our highly trained, certified personnel use this tool to process customer pallet specifications such as pallet dimensions, style and type. 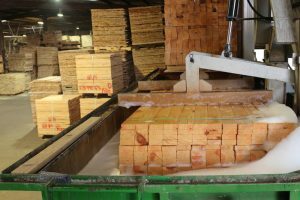 We also use it to test the durability, load bearing capacity, resistance to damage, performance and life span of our pallets. Contact us today to learn more about the Pallet Design System™ and other services we offer! 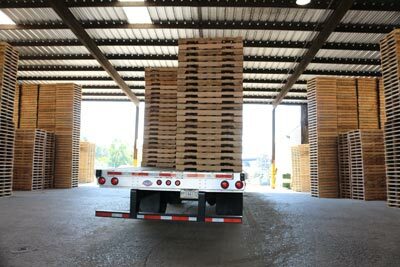 With Smith Pallet Company, you can expect to receive all orders and rush orders on time, every time. Our facility includes an on-site fleet of 15 trucks dedicated to delivering our high quality products on a daily basis. We offer delivery services to customers in Arkansas, Oklahoma, Louisiana and Texas. We will maintain a customer’s inventory at our own facility in order to process their orders within 3-4 hours of their initial request. It is this reliability that keeps our customers coming back. We believe our excellent customer service sets us apart from the competition. Contact us today to learn more about our excellent delivery services!